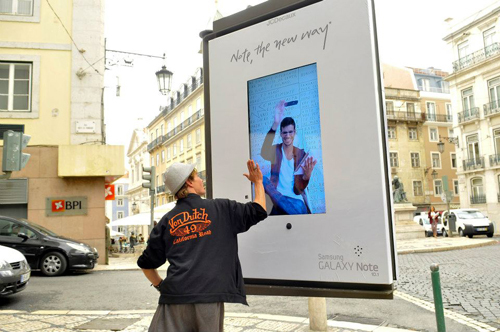 TBWA was the last agency to move to Lisbon’s advertising district. 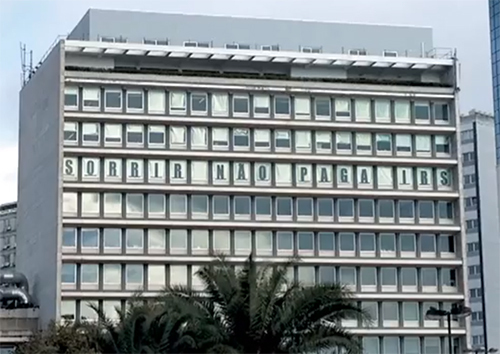 With their top competitors already there, they decided to showcase their creativity by turning 19 windows of their office into a 36m long twitter billboard. The video below does not explain how exactly the people were encouraged to send in their tweets, but it does show that people tweeted about politics, taxes, Europe, Merkel’s visit etc. In the end all the window tweeting created quite a stir in the local media. To get into the minds of tourists, Turismo de Portugal decided to fuse the QR Code technology with Portugal’s historical cobblestone tradition. 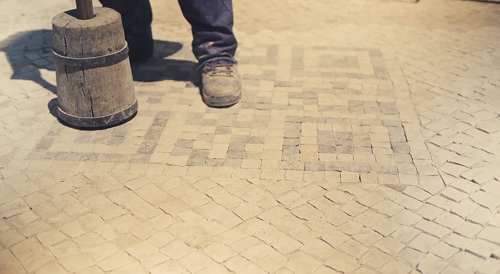 As a result they ended up creating the worlds first QR Code made from Portuguese cobblestones. 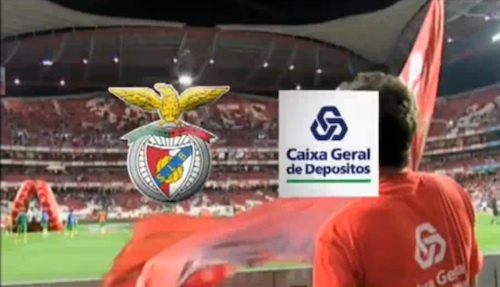 Here is a video case study of a first of it’s kind football pitch invasion that was created to promote the partnership between the biggest Portuguese bank (Caixa) and Portugal’s biggest football club (Benfica)!